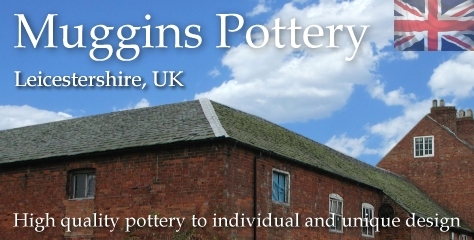 Pottery Dogs | hand-made pottery from Muggins Pottery in Leicestershire - wedding gifts, birthday presents, christening presents and anniversary gifts. Classic Muggins hand-made leggy dog. This one is sitting down. Size is between the miniature dogs and the dog money boxes. Classic Muggins hand-made leggy dog. This one is standing. Size is between the miniature dogs and the dog money boxes. I received my order today. Nothing was broken. Such beautiful pottery. I would love to purchase more.